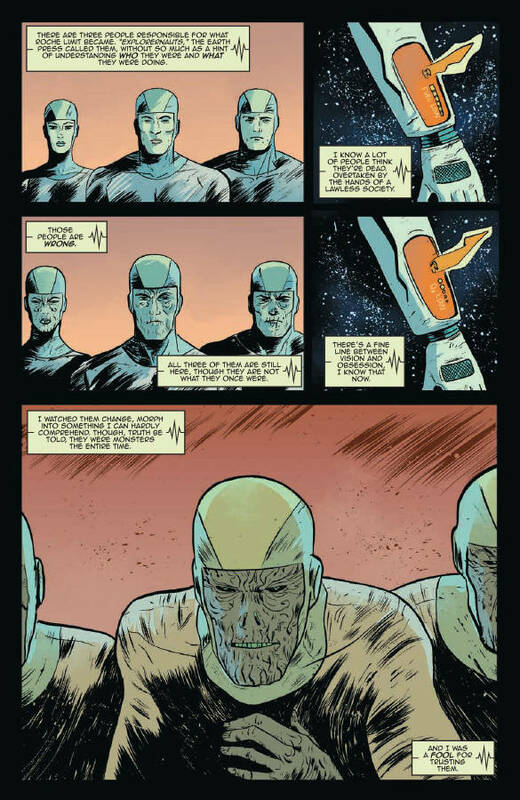 There have been a number of moving parts to Roche Limit in its brief run so far. You've got Alex, the creator of the mystery drug Recall, helping Sonya find his ex-girlfriend / her sister Bekkah. Scar-faced mob boss Gracie is making deals for a mysterious glowing object. Oh, and those weird wrinkly alien-looking guys! Plus, all of this is happening on a small planet orbiting around a strange lightshow in space that everyone calls an "anomaly" because no one really knows what it is or what it's doing. All of these things and more are starting to come together and it's pretty friggin' cool. There's one big element to Roche Limit that's bothered me for a bit. What's up with the glowing orb? This issue answers that question and it changes everything. 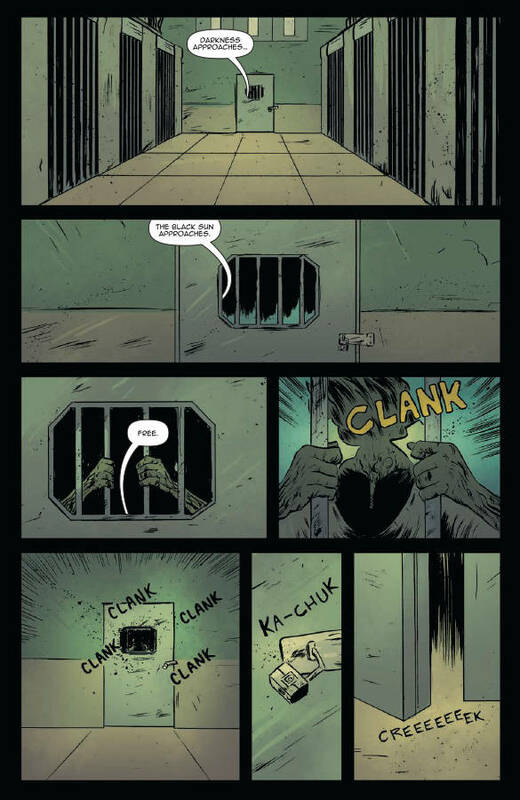 Writer Michael Moreci explains this in a way that merges science fiction with aspects of theology and spirituality into...well...a beautiful glowing orb. This is the kind of revelation that makes you want to go back and re-read all of the previous issues as you'll see things in an entirely new light. This chapter moves the story along in leaps and bounds. It does so while simultaneously checking in with just about all of the characters in the ever-growing roster. Things are starting to come off the rails on Roche Limit. It's going to get bloody or, rather, bloodier. There are people on the colony that are, for lack of a better word, infected. Artist Vic Malhotra makes them stand out as different from the normal folk. Their skin is shriveled up, like a raisin. It's dark and discolored. They appear almost like a living statue, but not those living statues that are really just dudes with silver spray paint that stand on street corners in the city asking for money. There's an inhuman quality to them. Malhotra also has a talent for capturing the sheer vastness of space and how small the colony really is in the scheme of things. 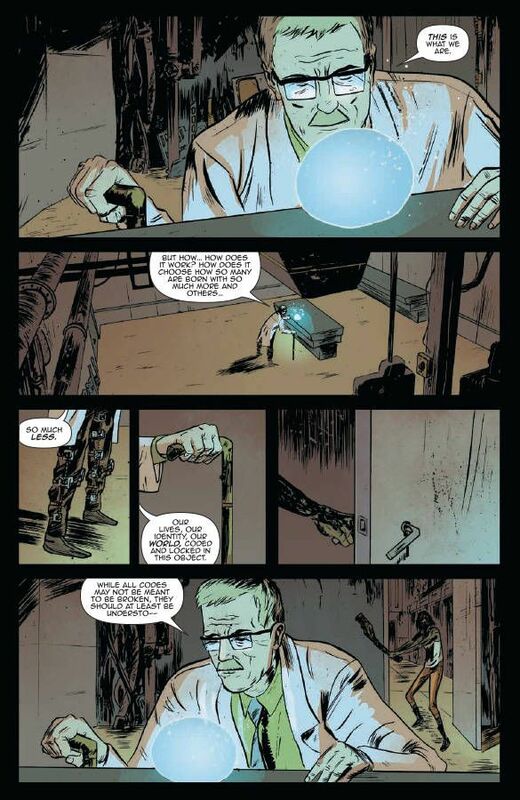 Alex's quest takes him to the anomaly itself this time around (not a spoiler, this is in the solicitation copy), and when he's up close to that thing he's barely a blip on the radar. 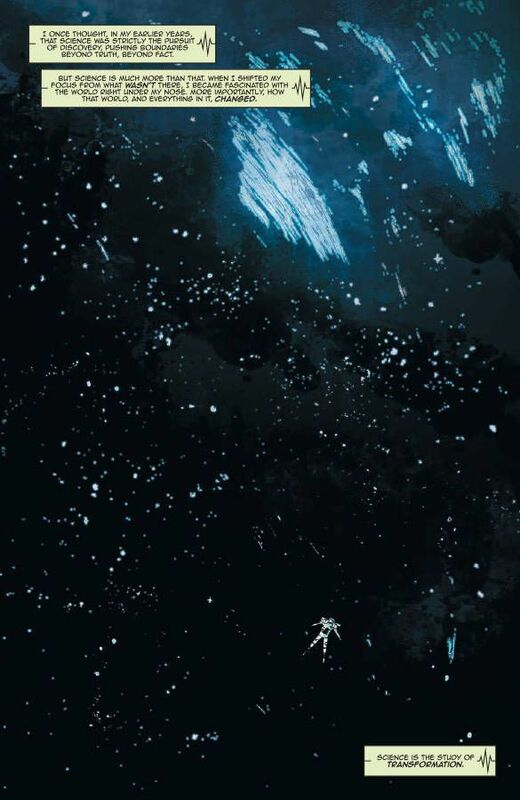 Even early on in the issue, when Gracie is looking up at the anomaly, there's this sense of despair that reaches all the way up to the tops of the tall buildings where she dwells. 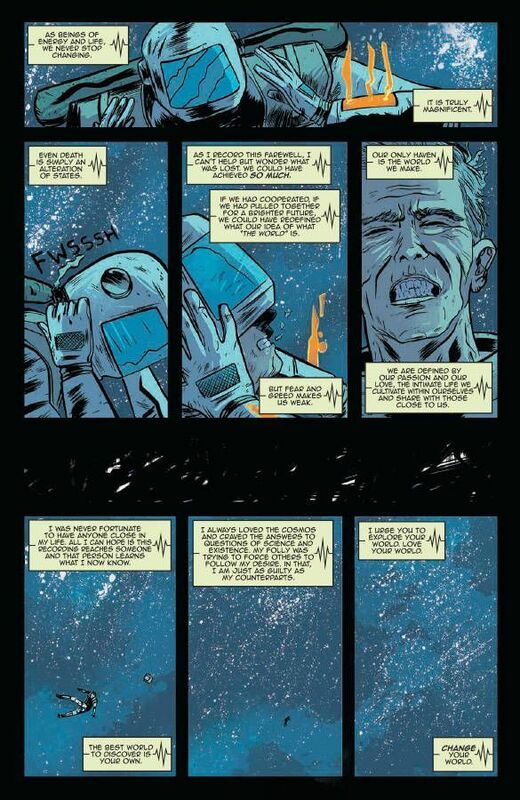 Roche Limit has blended elements of science fiction and noir in a way that manages to emphasize the best parts of both genres, making them stronger for it. This issue is a bit more in the sci-fi side of things, but it is packed with a level of tension that runs through every page. Something is about to give on this space colony and there's a body count that's going to come with it.